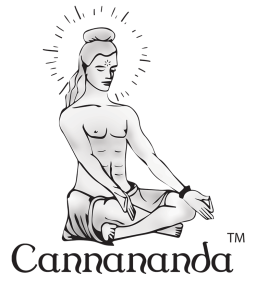 Cannananda supports holistic, positive lifestyles through inspired cannabis products. Our mission is to blend the values of cannabis and yoga to create deeper well being within our communities. We realize this goal is only possible through sustainable practices, respecting resources, and acting with integrity at every step of the process. Taking great care in how we use the land results in plants that are healthier for you. We never waver in using best practices on our farm and extraction lab, and never outsource. Establishing organic integrity is our highest priority. Read more about our Clean Green Certification. When finesse and decades of experience are applied to growing, curing, storing, and extracting cannabis, flavor profiles develop, nuances form, and the end results have specific healing properties, not to mention memorable personalities. Our commitment to grow our plants here since day one generates the necessity of richly understanding and adapting to this environment. We take it one step further and engage with our local community to provide everything from our organic soil to the equipment in our extraction lab. We believe this plant has something to offer everyone, no matter where you are on your journey. We have witnessed how its remarkable benefits transform all areas of life and are eager to share this miracle plant with everyone. Our focus is matching each consumer with not only the best product to meet their needs, but the highest quality. Chemical contamination is a rampant problem within the marijuana industry. We vow never to use a harmful fix at the expense of the end user. Our work dynamically connects centuries-old knowledge imparted across continents with state-of-the-art technology, providing a creative space to hone our craft and develop our products. We are constantly exploring new uses and applications for what we grow, such as unique blends to deliver targeted healing or products carefully balanced so users can control the range of effects. We are innovators by default because cannabis does not lack in inspiration or possibilities.